Petersburgh – Joan Marie Babcock, 71, died peacefully on Tuesday, January 22, 2019 at Samaritan Hospital in Troy with her family at her side. Joan was born in Bennington, VT on July 14, 1947 and was raised by her late grandmother, Stella Baker of Bennington, VT.
Joan was raised and educated in Bennington and was a graduate of Mount Anthony High School. Following high school, Joan raised her family. After the kids were raised, she returned to work as a recreational therapist at Bennington Health & Rehabilitation and later by the Hoosick Falls Health Center for 8 years before retiring. Joan was a member of the Hoosick Baptist Church. She loved crocheting and knitting for her family, loved animals and watching birds and most especially she cherished her time being with her family. 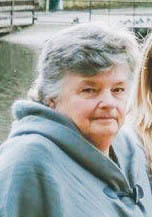 She is the beloved wife of Frank H. Babcock; loving mother of Laurie (Mario) DiDomenicantonio of Petersburgh, Shawn Babcock (Julie Ploof) of North Petersburgh, Clayton Babcock (Melanie Thompson) of Gloversville and the late Todd Babcock; special grandmother of Jessica Thompson and 10 other cherished grandchildren; sister of Gilbert Baker of Saugerties. She is also survived by several nieces and one nephew. Relatives and friends are invited to attend a Memorial Service on Sunday, January 27 at 2 pm at the Hoosick Baptist Church, 648 South Street, Hoosick, NY with Pastor Dale Hall officiating. There are no calling hours. Arrangements are by the Thomas M. Barber Funeral Home in Petersburgh. Condolence book at ParkerBrosMemorial.com.